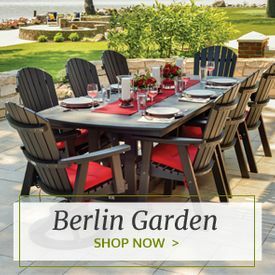 No romantic garden or patio is complete without a seating set for two, like one of these charming settees or tete-a-tete outdoor furniture pieces. 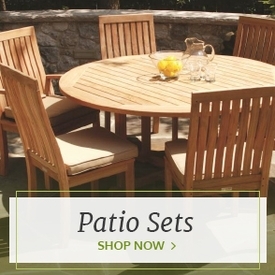 Tete-a-tete furniture is defined as any piece made just for you and your closest companion, generally joined by a central table or surface, that makes an absolutely enchanting out-of-doors breakfast or beverage suite. A settee is a long seat similar to a bench that's cozy enough for any lounging pair. 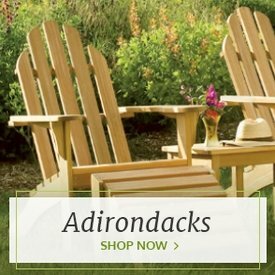 We carry the perfect tete-a-tete, settee or bench to go with your unique outdoor living environment. 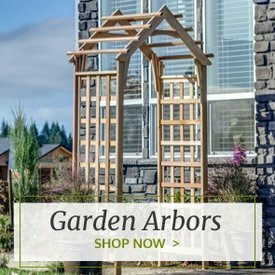 Made from durable materials like premium cedar or durable polyresin, each piece is constructed to withstand the elements while still offering supreme comfort. 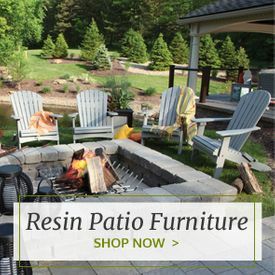 Polyresin outdoor furniture is a maintenance-free, eco-friendly alternative to traditional wood and is a great choice for homeowners and landscapers who prefer a bright pop of color, since the finish won't fade. Our wooden settees and tete-a-tetes offer a rustic, all-natural look for woodsy and natural outdoor spaces.